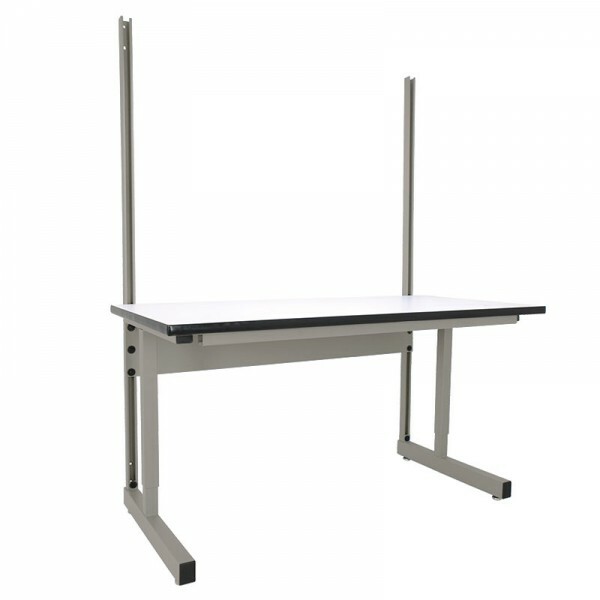 The welded cantilever design of our C?Leg bench combines leg room comfort with the strength to support 750 lbs. on the work surface. Surfaces are 1 inch thick with T-Mold Edges. Standard and ESD available (laminated back edge for accessory options). 750-lb load capacity when evenly distributed. This bench includes uprights ? uprights are unistrut and run vertically along the back side of the bench. 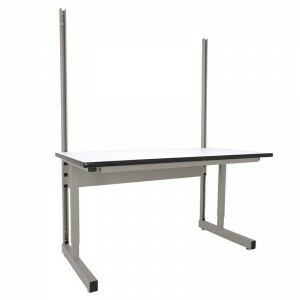 Includes an adjustable height worksurface; adjustable range from 30? to 36? inches. Adjustable in two (2) inch increments. ESD option includes a single ground stud and a 10-ft ground cord. This bench does not include a footrest option.